Elvis Perkins had appealed to me, but just a touch, when I heard his earlier album which included "Ash Wednesday". 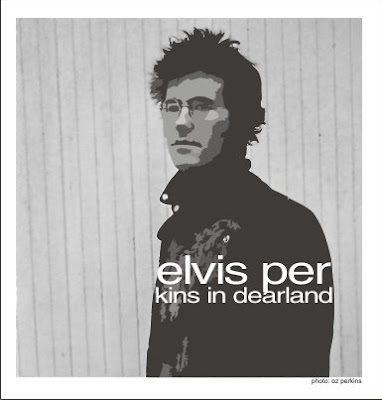 I liked that song, but it seemed to ramble on a little too long for my taste, it needed some editing (although needing editing is something I am very prone to, as well), but his latest release, Elvis Perkins In Dearland, takes a major step forward. A handful of songs from his second full length demand your attention and command mine each time this record gets listened to. Opening strongly with the uptempo "Shampoo" the album has a pleasing variety of sounds but never varies far from the quality of that aforementioned opening track. Favourites include "Hours Last Stand", "123 Goodbye", "I'll Be Arriving", "Chains, Chains, Chains", and "How's Forever Been Baby", with "Chains" being my current fave.